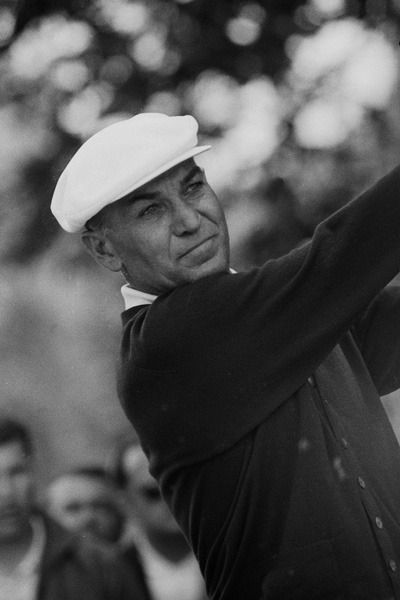 Scoring four rounds of 70 or better, Ben Hogan broke the Masters Tournament scoring record by five strokes with a 14-under-par 274. The record stood for 12 years. 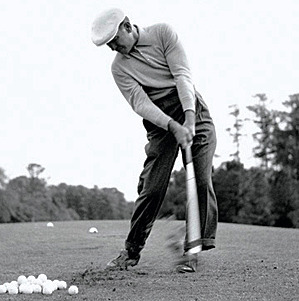 The year 1953 was a magical one for Ben Hogan. He played only seven tour events, but won five of them. And he won all three majors he played, including the 1953 Masters. It was his second of his two Masters victories, and the seventh of his nine career titles in majors. After 1953, Hogan never again won a major. At the 1953 Masters, however, Hogan finished five strokes ahead of runner-up Ed "Porky" Oliver. Hogan set a new scoring record in The Masters with his 274 total, breaking the previous record by five. The 274 total stood under the 1965 Masters.